The cross is a constant reminder in life, encouraging me to die to self that Christ may live in and through me. I would say this song by Abigail Miller was the most impacting in my life. I had purchased and downloaded the song, “Have You Died,” on Christmas Day 2013. I was completely impacted by the song. I truly understood for the first time what it meant to die to self and from that point I desired to know more. 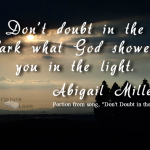 One day I was on a Google venture to see if I could learn more about Abigail and I came across this site where she had shared how she was inspired to write a given song. 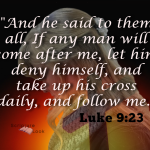 Abigail Miller describes that the song, “Have You Died,” came to be after she read a book called, “Born Crucified,” by L.E. Maxwell. My Lord used this book to take me through yet another level of understanding what it means to die to self. I will admit I was being stretched and challenged like never before. My desire to learn more about dying to self with real commitment kept growing. 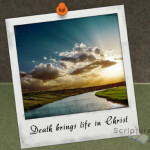 Learning to die to self, kept giving me a greater desire to learn more of the meaning of what the cross is meant. Especially in relation to my life, an ordinary housewife with an incredible desire to serve my beloved Lord and Savior. 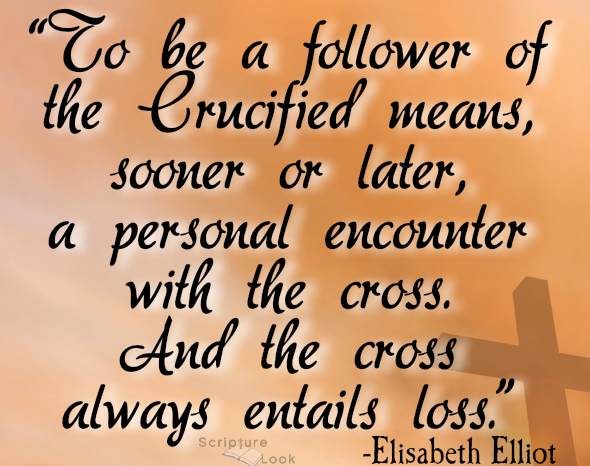 What does it mean to be crucified with Christ (Gal 2:20)? 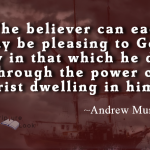 What does it mean for you and me to be nailed to the cross? 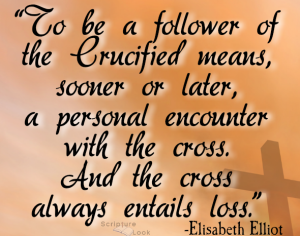 The response to those questions was given by Elisabeth Elliot with the following statement that I have added in my personal notebook that I recently began giving me an insight on my earthy purpose as directed from my Lord in a very practical sense. The following are notes I took in a very recent, Gateway to Joy, radio program by Elisabeth Elliot that is being re-aired on BBN. Below you will see Rober Yoderian’s thoughts and my thoughts that were sparked from such a saint that desired to consecrate his life to Jesus Christ. My thoughts: What a joy as each step is walked in faith despite how storm tossed we may have been. My life is ever blessed for the rest is also a reminder that dying to self has incredible rewards. Each day my understanding and desire to die to self deepens. Dying to self is not as ugly as you think. What experiences about learning to die to self can you share? Please write your thoughts in the comments below.